Thomas Sterner, professor of environmental economics in University of Gothenburg, Sweden, and a fellow at Resource for the Future (RFF), is invited to give a keynote lecture on “The Design of Environmental Policy Instrument: Efficiency, Informational Requirements and Political Feasibility”at the 2nd Annual Conference of the East Asian Association of Environmental and Resource Economics (EAAERE) at Bandung, Indonesia, on February 2-4, 2012. Thomas Sterner’s most recent book includes: Fuel Taxes and the Poor: The Distributional Effects of Gasoline Taxation and Their Implications for Climate Policy, Resource for the Future Press. The plenary lecture will cover both this book and a coming book on PROPER, a system for information disclosure and firm rating in Indonesia. The book on fuel taxes shows that gasoline taxes do not – contrary to what is sometimes asserted – hurt the poor. In fact in poor countries they have a bigger effect on the rich who spend a higher share of their income on fuel. The book on PROPER (written together with Shakeeb Afsah, Jorge Garcia and Allen Blackman) shows how Indonesia has managed to entice firms to clean up with a rather modest rating instrument that has its main effect through firms’ reputation. The conference EAAERE 2012 will be hosted by the Faculty of Economics, Padjadjaran University, and held on the campus of Padjadjaran University, on February 2-4, 2012. The session with Thomas Sterner will be chaired by Prof. Akhmad Fauzi (Bogor Agriculture University, Indonesia). The Local Organizing Committee notes that the problem of climate change and the paradigm shift toward the green economy has made environmental and resource economics evn more central in the global scientific and public policy discourse than before. The congress programme will cover those important issues along with wider areas of environmental and resource economics. Around 200 participants are expected from East Asia and beyond, in their capacities as researchers, professionals, policy makers, as well as international organizations representatives engaged in various activities in the congress. Thomas Sterner is a professor of environmental economics in Gothenburg University and a fellow at Resource for the Future (RFF). He has initiated the unit for environmental economics in Gothenburg and participated in its build-up since 1990. 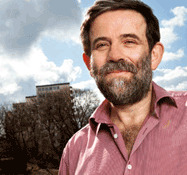 He is a former President of the European Association of Environmental and Resource Economists. Thomas Sterner’s main research interests lie in the design of policy instruments. He has written a large number of books and articles on different applications ranging from energy and climate, through natural resource management such as fisheries to issues relating to industrial and transport pollution. His work covers institutions in different kinds of economies, market, planned and developing. Thomas Sterner teaches PhD and undergraduate courses in environmental and resource economics and is also active in a number of boards and networks such as CEEPA, LACEEP, SANDEE, and AERC.